Big Bend National Park is a hidden gem located right at the border of the U.S. and Mexico. In fact, the park is actually named for the prominent bend in the Rio Grande which is one of the must-see features of the area. The Chisos Mountains are full of backcountry recreation opportunities, including the Lost Mine Trail, South Rim, and the Canyon Trail which are some of the most popular hiking spots. If you have kids who love dinosaurs, then take them hunting for fossils - there is a wide variety of Cretaceous and Tertiary fossils within the border of the park and the Fossil Discovery Exhibit is the perfect place to learn more about the ancient life that once inhabited the park. If you’re interested in floating down the Rio Grande to experience the park that way, just keep in mind that you will be crossing back and forth between the U.S. – Mexico border. While it is illegal to land on the Mexican side of a bank, expectations are made if it’s for scouting rapids, seeking shade, repacking a boat, etc. Overall, incidents between Big Bend visitors and Mexican nationals are exceptionally rare according to the park’s website. Animals that you may encounter while visiting include Carmen Mountain white-tailed deer, whiptail lizards, Mexican jays, gray fox, and mountain lions. Helpful hint: Bring plenty of water! Caution: Always be aware of the border if you’re on the river. 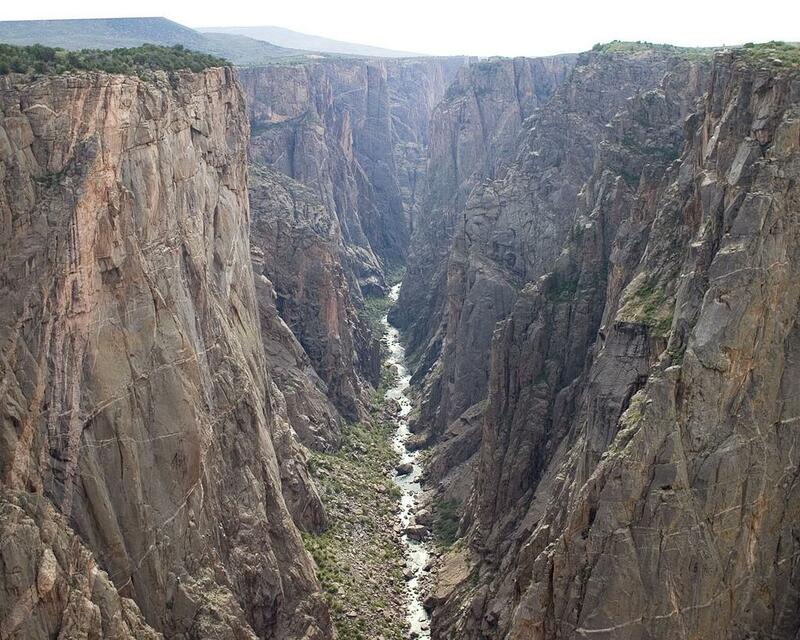 While the Rocky Mountain National Park gets a lot of the attention in terms of Colorado parks, Black Canyon of the Gunnison National Park is a fantastic option where you’re likely to experience a little less foot traffic on the trails. There are plenty of hiking options for all experiences, including the Deadhorse, North Vista, and Oak Flat Loop trails. However, if you want to hike the inner canyon, you better be ready to work. The Gunnison Route, which is often referred to as the easiest route, is extremely steep, rocky, and strenuous. These routes are covered in poison ivy as well, and the park’s website claims it is nearly impossible to avoid. We appreciate their honesty! It’s safe to say that the inner canyon routes should be left to the expert outdoorsmen. 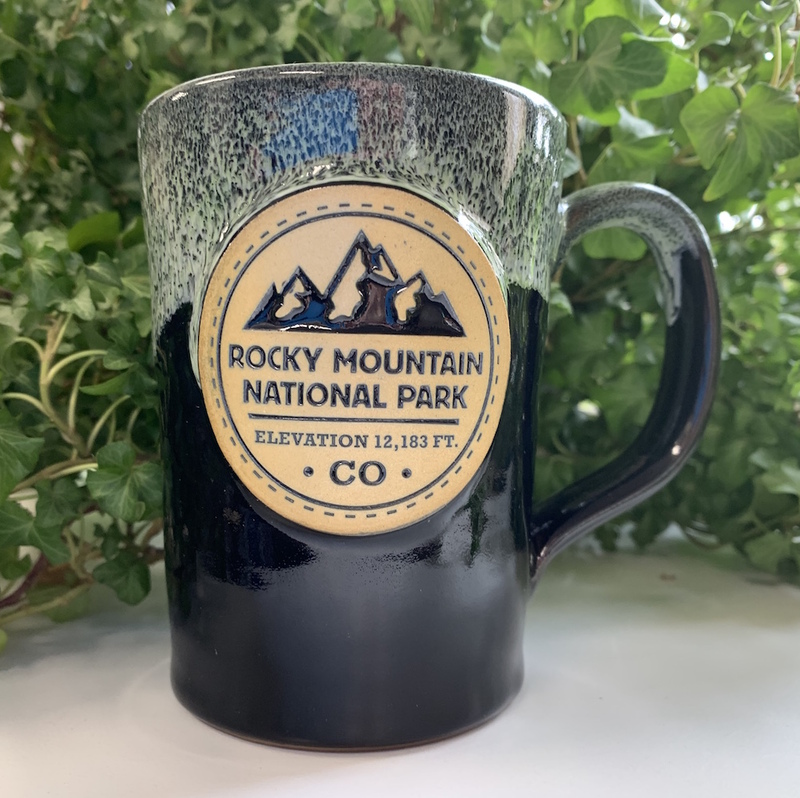 That’s not to say that the novice national park adventurer won’t enjoy Black Canyon, as there are some tremendous scenic drives along the rims and down the river, great trout fishing, kayaking, and amazing views of the night sky. You can find yellow-bellied marmots, rocky mountain bighorn sheep, rock squirrels, ringtail cats, elk, and the rare black bear sighting, as well as a large number of birds, including the peregrine falcon (the world’s fastest bird). 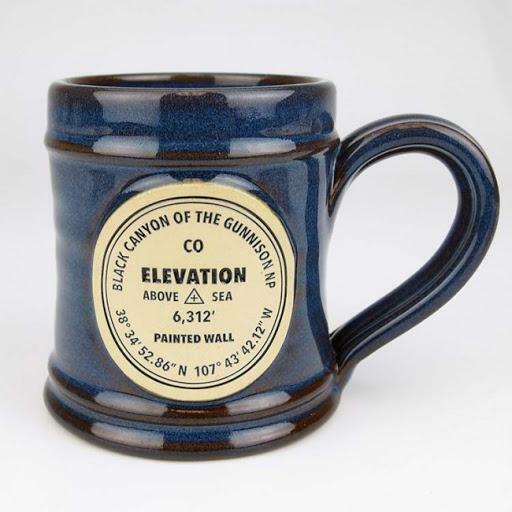 Helpful Hint: At the rim, elevation is over 8000 feet, so drink plenty of water and wear sun protection. Oh, and slow down. Caution: Please don’t feed any wildlife. Watch your step along rim trails; drop-offs are 2000 feet straight down. Never throw anything from the rim into the canyon. Contrary to what you may believe based on the name, Bryce Canyon is not one canyon, but rather a series of natural amphitheaters that are carved into the edge of a high plateau. For those visiting this park, they won’t have to wait long before being mesmerized. 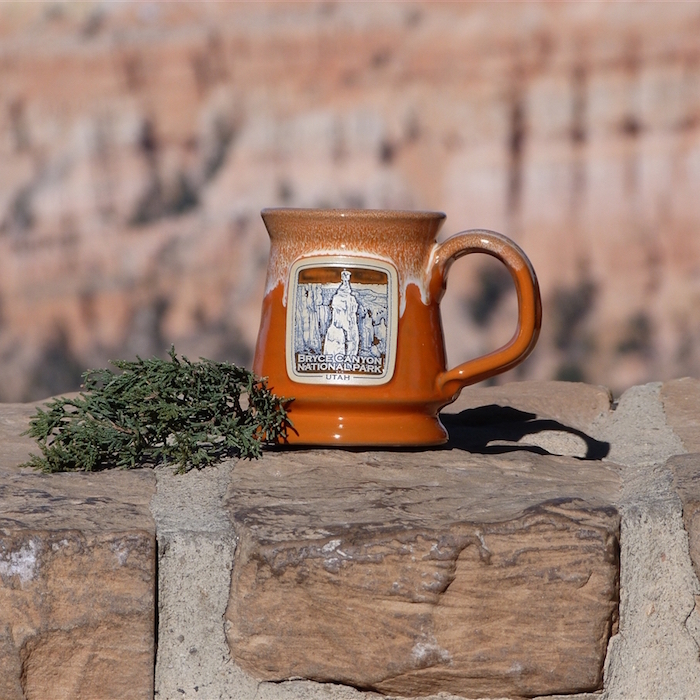 The four main viewpoints of Bryce Canyon can all be found within the first few miles of the park. This includes Bryce Point, Inspiration Point, Sunset Point, and Sunrise Point - all of which are located within the Bryce Amphitheater. Hiking trails along the forests of the plateau connect between these viewpoints. Along with these hikes, the backcountry hiking within the park is one of its best-kept secrets. In total, there are 23 miles of trails through the Under Rim Trail and nine miles through the Riggs Spring Loop Trail. Here, avid campers enjoy the lesser seen side of Bryce Canyon. Pronghorn deer, black bears, ground squirrels, ravens, rattlesnakes, mountain lions, and prairie dogs inhabit the area. What not to miss: The Bryce Amphitheater, backcountry hiking. Best time of year to visit: June. Best time of year to avoid the crowds: Winter – there are some great winter activities such as snowshoeing, skiing, and sledging. Busiest Time of year: July-August. Helpful Hint: Book camping spots in the backcountry well in advance. Caution: Always be aware of your surroundings and don’t get too close to cliff edges! Thanks in large part to low light pollution and healthy air quality, Canyonlands has some of the most spectacular night sky views. 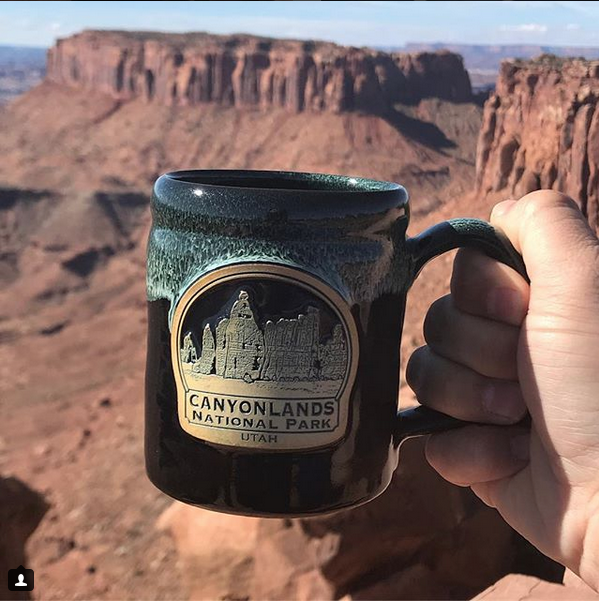 There are few things better than spending the night under the open sky after a day of exploring, and few places do it better than Canyonlands National Park. So, what do you do during the day while here? Well, there are many districts that make up the park, which include Island in the Sky (great for scenic drives and easy hiking), The Needles (for a more backcountry experience), and The Rivers (for flatwater trips on the Green or Colorado rivers and whitewater trips in Cataract Canyon). There’s reduced visitor services in the winter, but you can still check out the park and take in some views even with snow on the ground. Just remember to pay attention to the weather forecasts and road conditions, as well as bring a pair of crampons. Coyotes, bats, owls, foxes, mule deer, jackrabbits, and kangaroo rats are frequently seen within the park. What not to miss: Mesa Arch! This spectacular arch is perched on the edge of a cliff, so be careful. On a clear day, you can see White Rim Road, amazing canyons, and the distant La Sal Mountains. Sunrise at Mesa Arch is a favorite for photographers and remains popular all day long! Best time of year to visit: Early part of November – The crowds have thinned out and the temps are perfect for hiking. Best time of year to avoid the crowds: December – January. 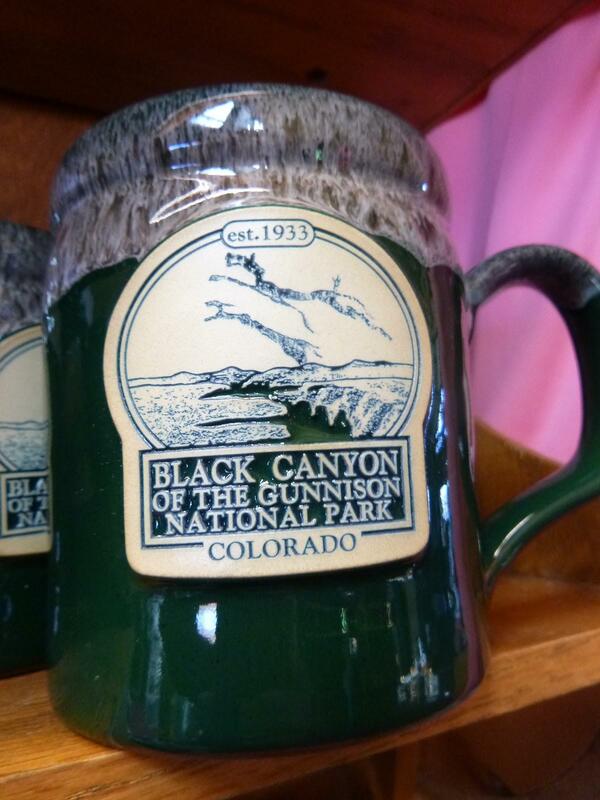 Helpful Hint: No matter where you explore in canyon country be sure to bring and drink plenty of water. Caution: Be sure to stay on the trails because the soil is alive! Despite its name, the Capitol Reef National Park is not a place for snorkeling (You’ll want to check out the Great Barrier Reef if that’s what you’re looking for). Instead, at this park in Utah, you’ll find the heart of red rock country, with a number of hidden treasures like cliffs, domes, bridges, and canyons. Waterpocket Fold offers one of the most incredible views in the area if you can make it to the top through backcountry hiking. Don’t worry. The park also offers fifteen day hiking trails, each with varying degrees of difficulty, ranging from easy strolls to more strenuous hikes. No matter your skill level, you’ll be able to find a trail for you! While Capitol Reef wasn’t known as a rock climbing destination, recent years have seen an increase in climbing in Utah’s canyon country. This is the perfect park to go to if you’re looking for some solid climbing spots without running into a lot of other climbers. Bicycle tours are also an option, and a great way to see a lot of park in a shorter amount of time. Road tours are also popular. 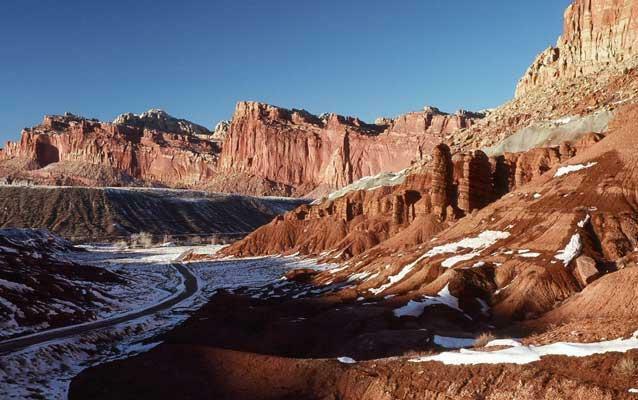 Ringtails, gray fox, beavers, bison, bighorn sheep, and goats are all seen in Capitol Reef. Best time of year to visit: September – October – The weather is great, the colors are at their peak, and the hiking is at its best. Best time of year to avoid the crowds: January. Helpful Hint: Make sure you include a stop at the picturesque Fruita Orchards and bring along a picnic lunch to enjoy in the shade of the trees. Caution: Always bring plenty of water and SPF! Carlsbad Caverns is a series of 117 caves, the longest of which is 120 miles long, filled with over 400,000 Mexican free-tailed bats and sixteen other species. In other words, if you come to Carlsbad Caverns you better: A.) Not be claustrophobic and B.) Not be afraid of bats. If you can get past those two things, then you’re sure to enjoy Carlsbad Caverns for the unique experiences it offers when compared to a typical National Park. You can take both self-guided cavern tours, as well as ranger-guided one if you’re looking to learn more about the history as you take in the views. However, what most people come for are the bats. The Bat Flight Program takes place through late May to October, where the evening will begin with a ranger talk prior to watching thousands of bats emerge from the Carlsbad Cavern. The best thing about the program? No cameras are allowed of any kind so as not to harm the bats in complete darkness. This means it’s just you, some friends or family, and some fellow nature enthusiasts enjoying one of nature’s most epic scenes. Sometimes it’s nice to put down the camera and live in the moment completely. Along with the bats, you can find pronghorn, deer, raccoons, shrews, badgers, and wolves in the park. The Big Room Tour Viewing the Natural Entrance – whether you walk down the trail or not, at least SEE the Natural Entrance. Best time of year to visit: For bat flights – Summer or early Fall. Overall, late September is great because it’s not crowded anymore and not so hot. The bats might not be at their best but the cave experience is MUCH better when it’s not crowded. Best time of year to avoid the crowds: September. Helpful hint: The cave is 56 degrees but has high humidity. Bring a light layer that you can take on and off easily. Caution: The trails are dim and a bit uneven, but have handrails. If you have issues with not being able to see the ground while walking without falling, bring a cane (not a walking stick) or use handrails. Grand Teton has one of the more recognizable mountain ranges in all of the U.S, known as the Teton Range. The range is a favorite among backpackers and possesses incredible views that rival those of the more popular Glacier National Park. 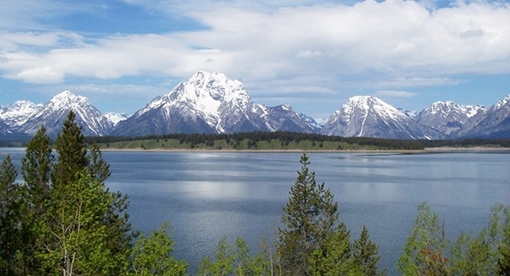 There is certainly no shortage of outdoor activities in Grand Teton National Park, with biking, bird watching, boating, climbing, and mountaineering, cross-country skiing, fishing, horseback riding, hiking, and scenic drives all apart of the itinerary. Hiking is the most popular attraction, as the park is renowned for its 230 miles of trails, with varying difficulty levels so that there is something for everyone to enjoy. Along with these hiking trails, the scenic drives are sight to behold themselves, with plenty of turnouts to get out, take in some views, and stretch your legs. If you want to see some moose, Grand Teton is a great spot to go searching. 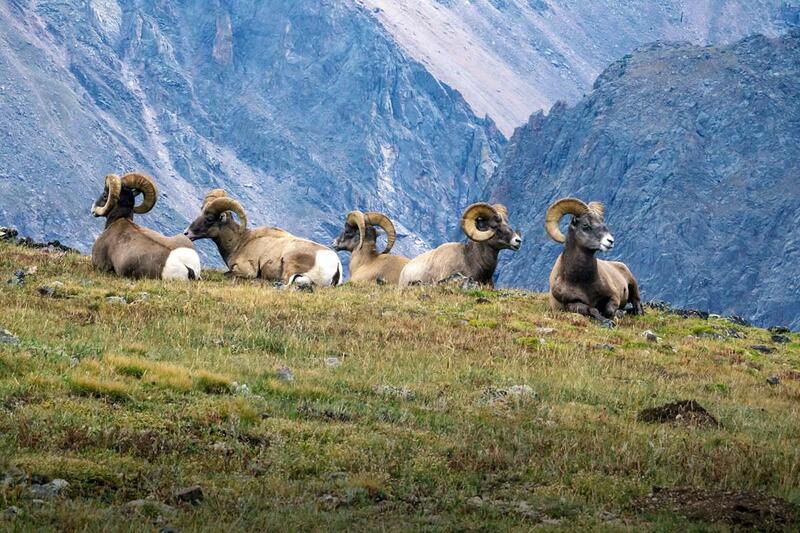 Along with moose, you’ll find marmots, golden eagles, bison, coyotes, and ospreys. Best time of year to visit: Mid-May to September. Helpful hint: Always be on the lookout for moose early in the mornings. DON’T get too close, keep your distance and be respectful of their space. Caution: Never feed the animals! And bring proper hiking shoes. 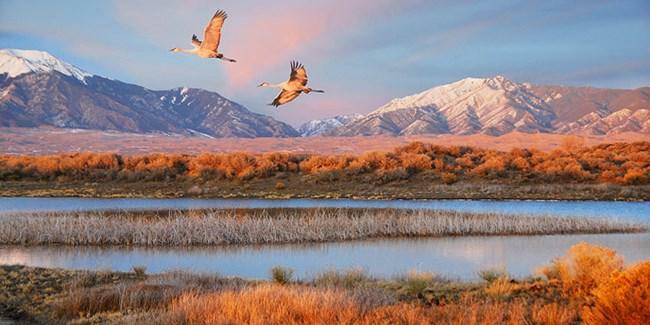 Great Sand Dunes National Park looks otherworldly, where a mix of gorgeous mountain range views and sandy dunes come together. You’ve heard of snowboarding, but what about sandboarding and sand sledding? You can actually rent sandboards and ride down the dunes. It’s a once in a lifetime activity that will create a lasting memory for people of all ages. For the uncoordinated, sand sleds are an excellent alternative where balancing becomes less of an issue. When it comes to stargazing, Great Sand Dunes is one of the best spots for watching the Milky Way in full form. The foreground of the dunes, coupled with the mountain ranges make for some truly humbling views of the night sky. 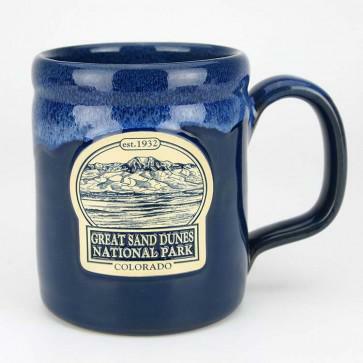 As with all these national parks, Great Sand Dunes has some excellent hiking, whether it’s through the dunes or within the woods on the outskirts. Hiking to Sand Creek Lake should be on everyone’s list when they go to Great Sand Dunes. Tiger salamanders, elk, pikas, bighorn sheep, bison, and badgers all make Grand Sand Dunes their home. Best time of year to visit: Early summer for best creek flow; September for best weather/temperature conditions and fall colors. Busiest time of year: July. Helpful hint: When visiting in early to mid-summer bring lots of water, sun protection and bug repellent. These three simple and important components will make your time exploring much more enjoyable. Caution: Summer air temperatures are pleasant at this high elevation, but during afternoon hours the sand surface can reach 150ºF, and dangerous thunderstorms can develop. Plan to hike the dunes in early morning or evening to avoid heat exhaustion, burned feet, or fatal lightning strikes. 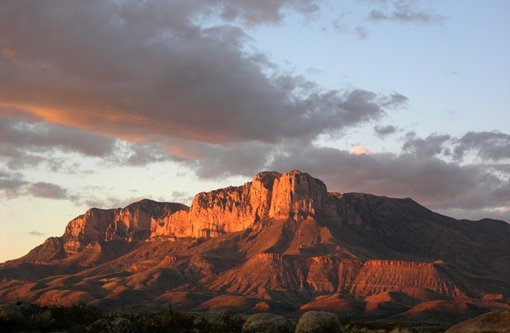 Guadalupe Mountains National Park is home to the world’s most extensive Permian fossil reef and a diverse collection of flora and fauna (plants and animals for the non-scientists). There are over 80 miles of trails, with a few of the most popular being the Devil’s Hall, Smith Spring Loop, McKittrick Canyon, and Guadalupe Peak trails. During late October to early November, fall colors and cooler temperatures make for excellent hiking conditions. There are some excellent opportunities for horseback riding within the park as well, however, there are no horses to hire, so you have to bring your own. The Guadalupe Mountains are home to 60 species of mammals, including deer, hog-nosed skunks, rock squirrels, black bears, and gray fox. What not to miss: Views of El Capitan and Guadalupe Peak from the picnic area on 62/180 south of the visitor center, about 4 miles. It’s STUNNING! Helpful Hint: We are a Wilderness hiking park. There are no driving areas, unless you have 4WD. We do have very easy trails for non-hikers. Another tip – We are on Mountain Time. Cell phones will connect to the nearest cell tower, which is in Central Time. Everyone is confused. Please set your phone to not update the time before arriving. Caution: The Guadalupes are notoriously difficult to hike in. Big steps, rough hard rocks that are hard on joints and boots. People routinely come in and say they can hike here easy because they hike the 14ers in Colorado, etc. This does not help. Our mountains are geologically young and rugged! 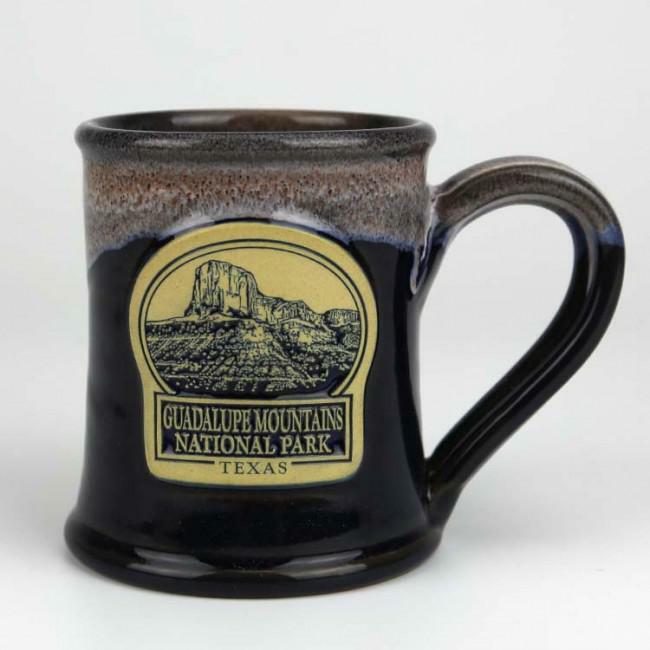 And the mugs are also available online from the WNPA store here. Mesa Verde National Park was established in 1906 in an effort to preserve and study the archeological heritage of the Ancestral Pueblo people who used to live there. 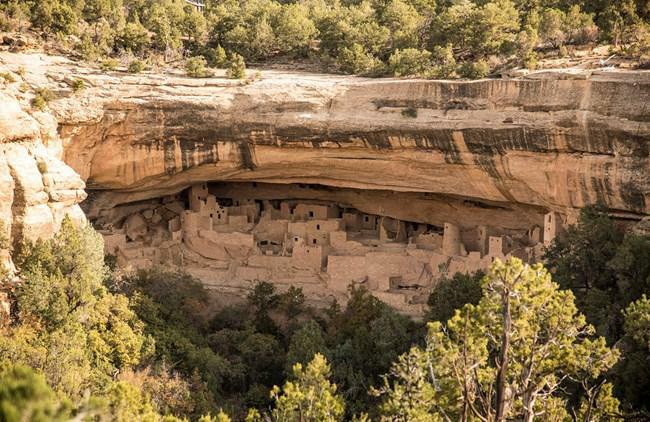 The park protects 5,000 archeological sites and over 600 incredible cliff dwellings. If you’re interested in seeing an ancient city in the U.S., Mesa Verde is one of the best spots to do so. If you’re interested in visiting for a short while, plan on at least being there for four hours, as it will take two hours driving in and out of the park. Some spots to see if you’re here for half a day are the Spruce Tree House and the Mesa Top Loop Road. If you have more time, the hiking trails are excellent, including Prater Ridge Trail, a 9-mile trail that changes in both elevation and vegetation throughout. Of course, you must stop at Cliff Palace, Balcony House, or Long House if you have time. It is incredible to see these cliff dwellings up close. Within the confines of the park, you can spot bats, shrews, red fox, bobcats, Rocky Mountain elk, and minks. What not to miss: Taking the “700 Year Tour” really gives guests detailed info on the area’s inhabitants and their way of life, along with taking a tour of Balcony House (included with the tour). Touring Cliff Palace (the largest cliff dwelling in North America) is a must as well; this requires purchasing a ticket in advance and is a ranger-guided tour. Best time of year to visit: September is great. The weather is very pleasant, and the Summer rush of tourists has subsided. Best time of year to avoid the crowds: May and September are your best months to avoid crowds and most dwellings and trails are open at these times. Helpful hint: Since this is designated ancestral lands, all hikers MUST stay on all designated trails and cannot wander off to explore! And bringing plenty of water and some high-protein snacks is strongly suggested. Also, sunscreen and sunglasses should be worn; our sun on the Mesa is about 10x stronger than you would get at a typical beach! Caution: We have many species of wildlife that should be avoided at all times (especially bears). Yes, staying away from cliff edges should be a priority while hiking and observing the cliff dwellings. 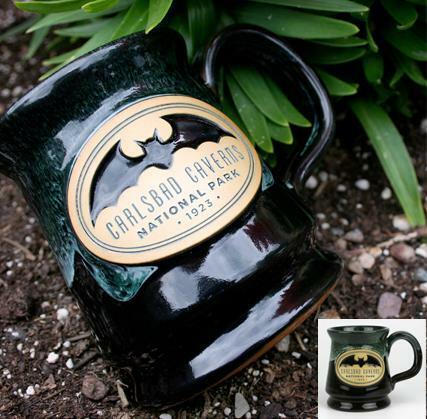 Last thing – what is the address or lat/long for the gift shop(s) that have the mugs for sale and are you offering them for sale online? 37.23058 degrees N, 108.4752 degrees W; this isn’t the location of a store since we sell them in three locations but it’s the approximate center of the park itself. And these coordinates are on some souvenir items we carry. We do not have an online store at all, everything must be purchased at the store in person or over the phone. The Petrified Forest in Arizona is part of the Chinle Formation, which contains 225 million-year-old petrified wood. Yes, you read that right, 225 million years old. The surrounding Painted Desert is one of the featured attractions, which contains eroded cliffs of beautiful red-hued volcanic rock called bentonite. And, to top it all off, dinosaur fossils and over 350 Native American sites are protected throughout the park. 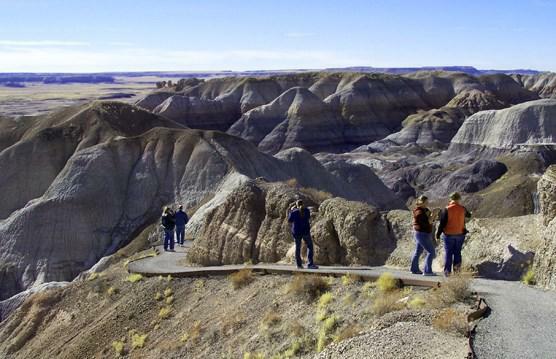 Geocaching is a popular activity within the Petrified Forest, as well as guided tours, hiking, horseback riding, road biking, backpacking, and scenic drives. Backpackers will enjoy colorful sunsets, incredible night skies, and sunrises that will encourage you to get up early to take it all in. Coyotes, foxes, and a wide array of colorful lizards can be seen during the summer months here. Best time of year to avoid the crowds: Fall and winter, early spring. Helpful hint: Bring enough water! Drink more often than you think. Caution: Watch your step! You never know when you might find a lizard right under you. Rocky Mountain National Park is one of the best parks to visit year round. Whether you’re visiting in the summer, spring, fall, or winter, there is plenty to see and do while here. In the winter, you’ll see plenty of cross-country skiers, as well as people snowshoeing. You can also snowshoe with a ranger to ensure that you hit up all the good spots, and if you don’t have your own equipment, Estes Park has plenty of rental shops available. With over 355 miles of hiking trails, when the weather is nice and all the trails are accessible, there is no limit to all the sights you can see. Rocky Mountain National Park is definitely a destination that should, at the very least, be seen over the course of a long weekend. Day trips here will simply not do it justice. Bear Lake, Longs Peak, and Sprague Lake are some of the best spots to hit up for picturesque views. Trail Ridge Road, Emerald Lake Trail, and Old Fall River Road are some other popular spots as well. But, if we’re being honest, no matter where you are in the park, you will be impressed by what you see. Tiger salamanders, fence lizards, bighorn sheep, eagles, mountain lions, moose, and coyotes make Rocky Mountain National Park their home. What not to miss: It is an easy walk around the lake and early morning photographers often gather on the opposite side of the lake to get the absolute best photograph. Taking Old Fall River Road up to the top of Rocky Mountain National Park is always spectacular. Please be aware, there are no guard rails and there are many drop offs. There are also a lot of switchbacks to contend with. This road is best taken in early morning when the big horn sheep, elk, and often time moose, can be seen in many of the meadows. This road was the first road in RMNP and was a two way road when it opened and until Trail Ridge Road was built in 1939. Bear Lake Road is another tourist must see. This is the most visited part of RMNP and if you are driving, it is advisable to get there in the very early morning, before 6:30 a.m. if you plan on parking in the lot provided, or after 3:00 p.m. There is a hiker’s shuttle that goes into the Bear Lake area which you can catch at the fairgrounds parking lot. Best time of year to visit: Summer is the absolute busiest time of the year and the weekends when the aspen are changing and the elk are in rut. During the week in the fall is generally less crowded. Winter is a great time to come to RMNP to enjoy cross country skiing and snowshoeing. The weather can be a bit unpredictable though so come prepared and layer your clothing. It can be snowing and a winter wonderland, windy and cold, or a balmy 50 degrees. Best time of year to avoid the crowds:.Winter is a great time to come to RMNP to enjoy cross country skiing and snowshoeing. The weather can be a bit unpredictable though so come prepared and layer your clothing. Busiest time of year: Summer and weekends during the fall changing of the aspen and elk rutting season. Helpful hint: Always let someone know where you are going to hike and when you expect to be back. RMNP is the busiest park for search and rescue operations. Always bring more clothing than you think you will need and a lot of water. This advice could save your life! Caution: Please don’t feed any of the wildlife. The Rocky Mountain ecosystem is extremely susceptible to human behavior and feeding even a chipmunk can be detrimental to that chipmunks life. Do not advance too closely to any wildlife. Remember they are wild, even as docile as they may seem. If a large elk or moose would charge a human, that animal may be euthanized because of your actions. Stay at least two bus lengths away from the larger animals. 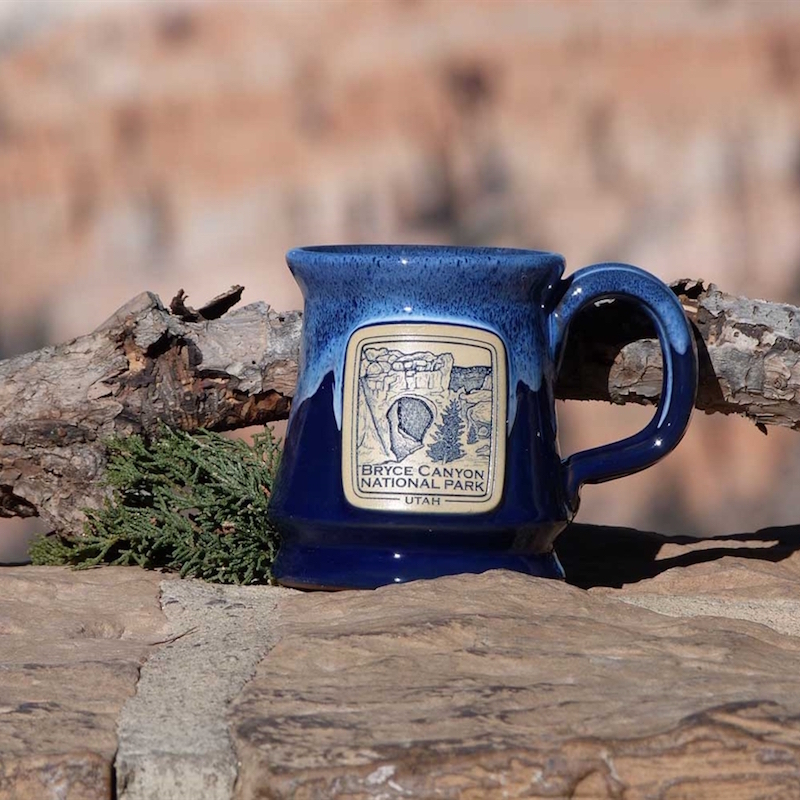 You can purchase the mugs online through the Trail Ride Gift Store here. 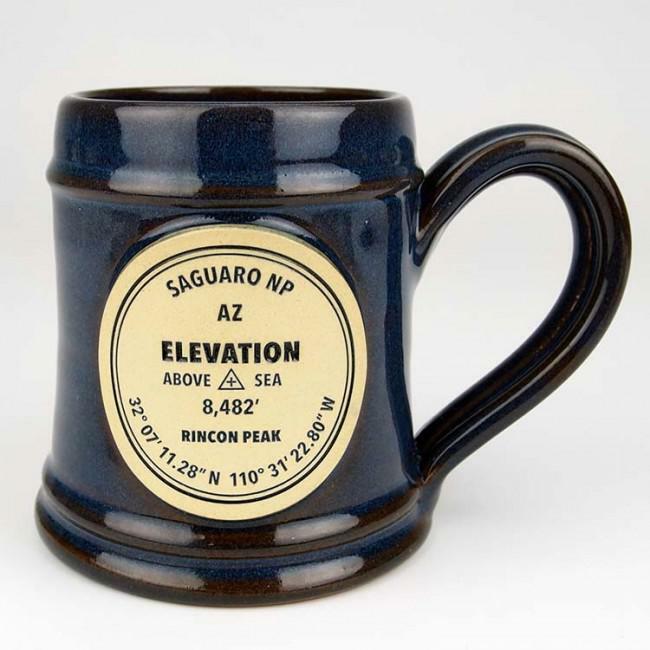 Saguaro National Park is split into the separate Rincon Mountain and Tuscon Mountain districts. As you may have guessed, the park is named after the giant saguaro cacti that can be seen throughout the park. Along with this cacti, you can also find barrel cacti, chollas, and prickly pears. There are a number of excellent campsites, with six designated campgrounds. Keep in mind when visiting the park that cellphone reception is poor throughout most of the park. 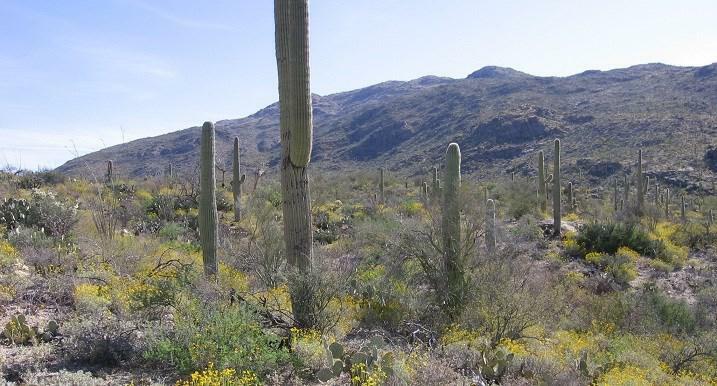 There are over 150 miles of designated trails in Saguaro, however, there is no off-trail hiking unless you are in an area that is above 4,500 feet in elevation. If you are interested in trying to off-trail hike at this park, then you can grab a topographic map at a visitors center to make sure you are doing so legally. Deer, skunks, jackrabbits, bats, and bobcats can be seen in the park. What not to miss: Signal Hill Petroglyphs. Best time of year to visit: Before the heat sets in so November through April. Best time of year to avoid the crowds: Busiest month is March, but we get a lot of winter visitors due to the nice winter weather. We really pick up in January through March. Busiest time of year: February is the Gem and Mineral show so we get a lot of traffic from that and March is the Festival of Books which brings a lot of visitors to the park. Helpful hint: Carry lots of water. Caution: Stay on the trails! Yellowstone National Park is a staple of the U.S. Parks System. 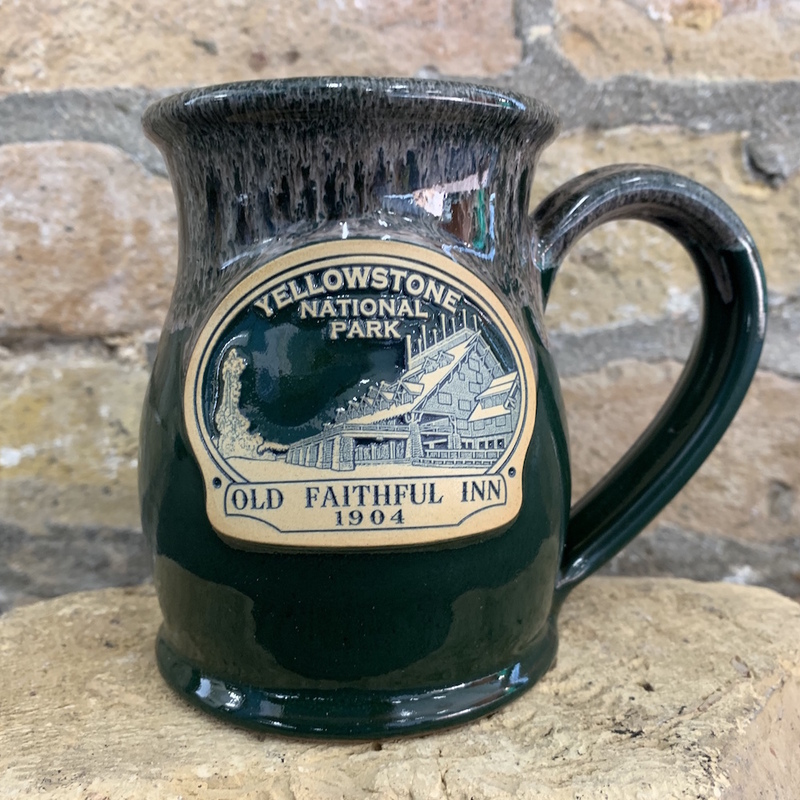 Located on the Yellowstone Caldera, the park is known for the sprawling network of geothermal areas that include boiling mud pots, colorful hot springs, and geysers that regularly erupt. The most infamous of these geysers, Old Faithful, has been bringing in people from the around the world for hundreds of years. 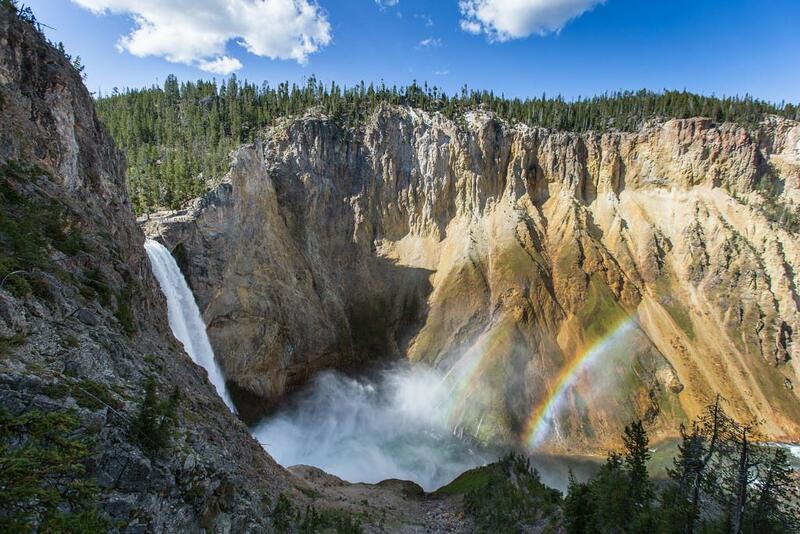 Yellowstone is actually the world’s first national park. Explore mountains, forests, and lakes to watch wildlife and witness the drama of the natural world unfold. 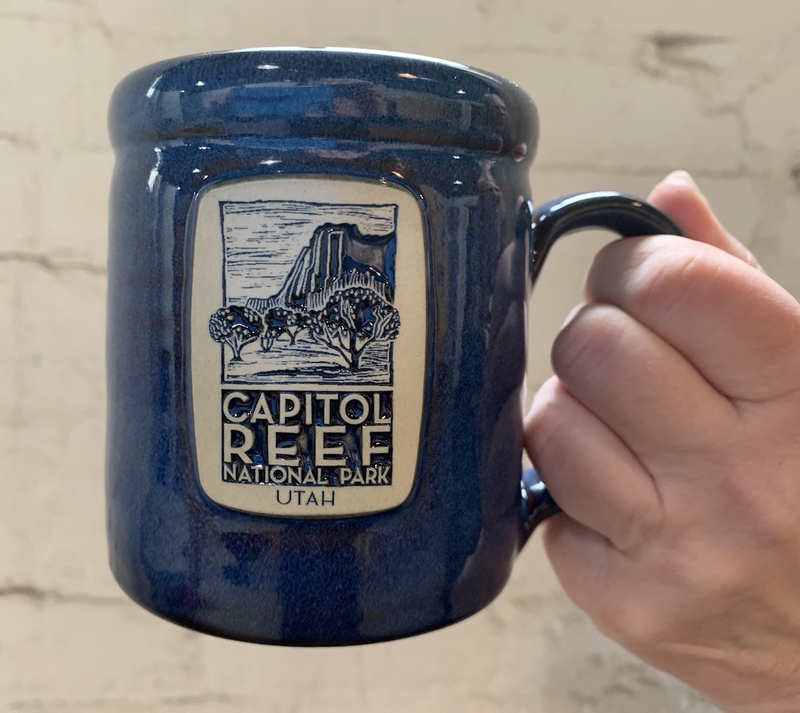 Discover the history that led to the conservation of our national treasures “for the benefit and enjoyment of the people.” Some of the best hikes include Mount Washburn Spur Trail, Observation Peak Trail, Ribbon Lake Trail. Otters, badgers, bison, elk, moose, wolves, and lynx can be spotted running around the park. Best time of year to visit: September, because the crowds are thinning out and the weather is still nice and we don’t have snow to slow down your hiking. Busiest Time of year: July, followed by August and then June. Helpful Hint: Stay 100 yards away from all animals – definitely don’t feed them EVER. Known for its red cliffs and mixture of greenery, Zion National Park features the perfect combination of desert and forests and can produce some of the most picturesque views in the region. Zion Canyon Scenic Drive cuts through its main section, leading to forest trails along the Virgin River. The river flows to the Emerald Pools, which have waterfalls and a hanging garden. Also along the river, partly through deep chasms, is Zion Narrows wading hike. Angels Landing and The Narrows are two of the best hiking trails as well. Follow the paths where ancient native people and pioneers walked. Gaze up at massive sandstone cliffs of cream, pink, and red that soar into a brilliant blue sky. 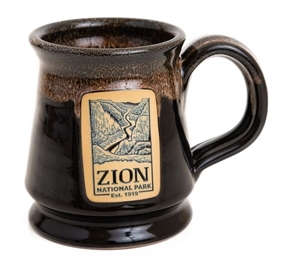 Zion’s unique array of plants and animals will enchant you as you absorb the rich history of the past and enjoy the excitement of present-day adventures. Collared lizards, Mexican owls, California condors, mountain lions, ringtails, and mule deer frequent the park. Best time of year to visit: Spring and fall for more moderate weather where heat will be less of an issue. Helpful hint: Be wary of the wildlife and give them space. Caution: Watch your step! And stay away from the edge of cliffs.